Mystic David Hoffmeister is a living demonstration that peace is possible. His gentle demeanor and articulate, non-compromising expression are a gift to all. He is known for his ... Maggiori informazioni practical application of the non-dual teachings necessary to experience a consistently peaceful state of mind. The purity of the message he shares points directly to the Source. Over the past 30 years, David has traveled to 41 countries across 6 continents to extend the message that Truth is available for everyone, now. Listeners will benefit not only from the words uttered in these talks but also from the opportunity ... Maggiori informazioni to rest the mind in the certainty and strength conveyed beyond the words. 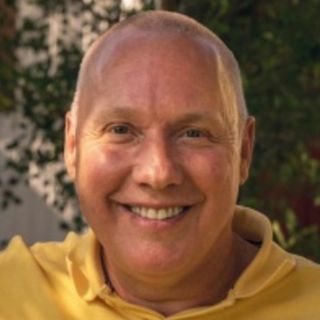 Mystic David Hoffmeister is a living demonstration that peace is possible. His gentle demeanor and articulate, ... Maggiori informazioni non-compromising expression are a gift to all. He is known for his practical application of the non-dual teachings necessary to experience a consistently peaceful state of mind. The purity of the message he shares points directly to the Source. Over the past 30 years, David has traveled to 41 countries across 6 continents to extend the message that Truth is available for everyone, now.